Mrs. Karen De Bruin prayerfully accepted the administrator position at Trinity Academy in February. Karen, Jason, and their two daughters moved to Macomb from Ames, IA five years ago for Jason’s job at Pioneer Hi-Bred. Karen grew up in Pella, IA, and attended Pella Christian Schools. She completed her B.A. in Elementary Education with a middle school endorsement and mathematics specialization from Dordt College in Sioux Center, IA. She had the pleasure of teaching grades 6-8 math, science, and Bible at Calvin Christian School in Blaine, MN for three years before God called them to Iowa. Des Moines Christian School became Karen’s home the next four years as she guided the instruction of students in Pre-Algebra and Algebra 1 and served in various leadership roles within the school. While at Des Moines Christian, Karen also served as the assistant volleyball coach. 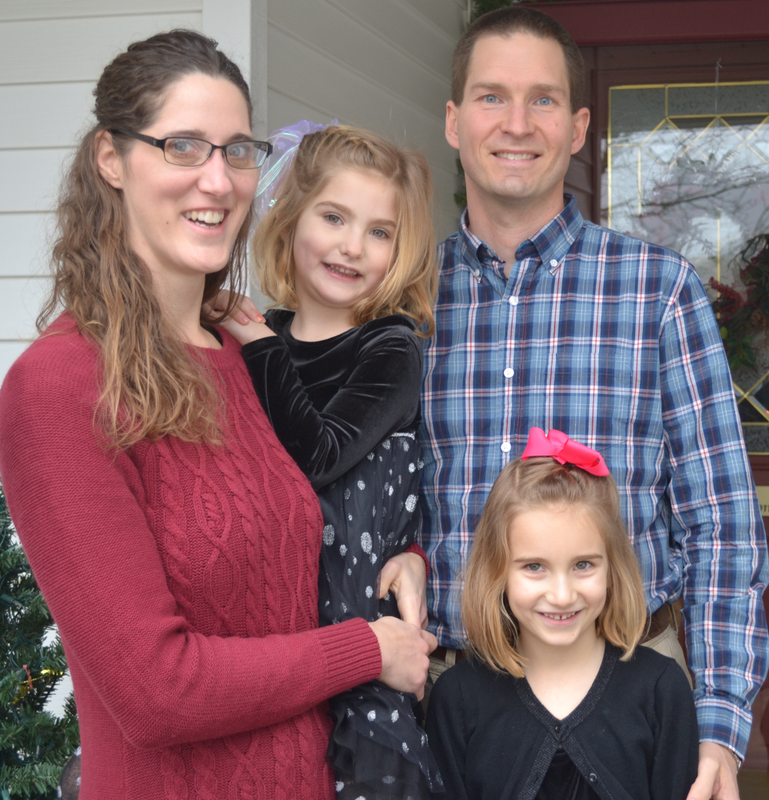 Family time became more important with the birth of their oldest daughter and Karen scaled down to a part-time position at Ames Christian School, teaching junior high math and science. Here she provided assessment and curriculum leadership and fulfilled various administrative responsibilities. After their move to Macomb, Karen enjoyed being at home full-time with their daughters, yet she prayed for purpose and opportunities to serve others in the community. For the last four years God has answered that request through her position as the MOPS coordinator. Through leading the local chapter of MOPS (Mothers Of PreSchoolers), Karen has the privilege of encouraging and equipping moms in their journey through motherhood and in their walk with the Lord. Additionally, Karen officiates junior high and high school volleyball and worked in childcare at the McDonough County YMCA. Karen and her family are active in the body of believers at their home church, Maple Avenue Christian Church. At MACC she serves as needed in their children’s ministry, participates in a small group, and serves on mission projects. Karen is passionate about academically excellent, Christ-centered education. She desires for each student at Trinity Academy to have the skills to be a life-long learner who can discern God’s will, articulate a Christian worldview, live out a life of service in Christ’s kingdom, and be a leader of faith in his or her vocation.